Dubai based international carrier Emirates Airline has announced the plan to launch flights to Basra via its Dubai hub, from 2nd February next 2011. Basra will be Emirates’110th international destination and the sixth to be launched in the 2010-2011 financial year. 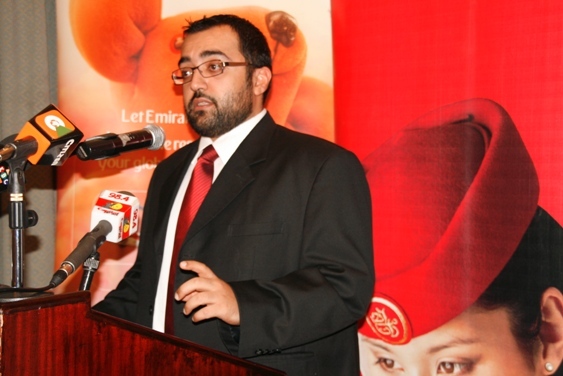 Announcing the planned launch Emirates Regional Manager for East Africa Essa Sulaiman Ahmad noted that the demand for flights to Iraq was growing amid signs of an economic recovery. Outbound traffic from Basra will be skewed towards local Iraqis. As the economy recovers and rebuilds, a large segment of the local population are expected to make use of this new service. Local authorities in Basra have also started developing plans to attract inbound tourism with one of the city’s most iconic hotels, the Sheraton, recently reopening for business. “As stability returns to Iraq we believe many Kenyans will also be travelling to that country for business and work. Already, there are a few Kenyan security firms operating in Iraq with a sizeable number of Kenyan employees. We will also be targeting religious group who will be making pilgrimages,” said Mr. Ahmad. The service will operate four times a week each Monday, Wednesday, Thursday and Saturday, subject to approval by the Iraqi Government. The flight will be operated by an Airbus A330, in a three class configuration, First Class, Business Class and Economy Class on Wednesday, Thursday and Saturday and in a two class configuration, Business Class and Economy Class, on Mondays. Emirates also expects to uplift around 10-12 tonnes of cargo per flight, using the belly hold capacity on the wide-bodied passenger aircraft. “As the city is re-established Emirates will be importing a range of commodities that will facilitate the city’s redevelopment. Key imports will range from perishable foodstuffs and garments to electronics and oil well equipment – from all corners of the world,” Mr. Ahmad said. With a flight time of just one hour from Dubai EK 945 will depart Dubai at 13:45 hours and touch down at Basra International Airport at 14:45 hours. At 16:15 hours, return flight EK 946 will depart Basra touching down in Dubai at 19:10 hours. The service connects seamlessly with key industry hubs in the US and Europe. You mean Iraq is now safe enough to warrant direct flights? Lol, i would take like forever before going there, but wait! does this mean there is business in iraq, talk about flipside? This opens yet another opportunity for business.